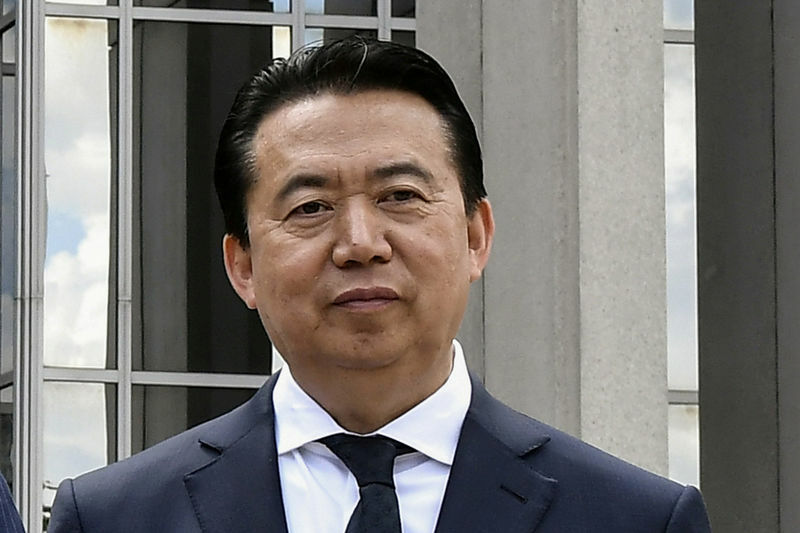 PARIS (Reuters) – The wife of former Interpol chief Meng Hongwei has hired two law firms to help track down her husband, who has been missing since traveling back to his native China more than a month ago. Days after Meng’s wife reported him missing, prompting France to open an inquiry, China said he was under investigation for bribery and other violations. Interpol, based in the French city of Lyon, said Meng had resigned as president. But no word has been heard from Meng himself since he sent his wife a WhatsApp message on Sept. 25 saying “wait for my call”. Grace Meng said she had decided to retain the law firms in London and Paris to pursue her husband’s case. “Since my husband disappeared, people from all over the world have asked what they can do to help,” she said in an emailed statement, saying the firm of Marsigny Avocats and UK-based Lindeborg Counsellors had been retained. It is unclear where Meng, 64, is being held and it has not been possible for Reuters to reach him for comment. It is also unclear if he has been allowed to retain legal representation. French authorities have said that Meng’s wife and their children are under police protection in Lyon after receiving threats. Meng, a deputy minister of public security in China, became president of Interpol in late 2016 amid a broader effort by China to secure leadership posts in international organizations. Presidents of the international police organization are seconded from their national administrations. They remain in their home post while representing the body.